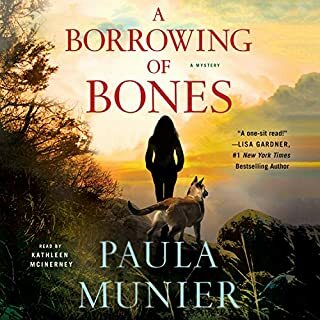 I liked the storyline and characters, and thought the details about working dogs and PTSD seemed accurate to me, a civilian. I'm looking forward to reading more in this series. The narrator was very good. I picked this book out of the four we could choose from to read/review in my graduate class. I'm glad I did. 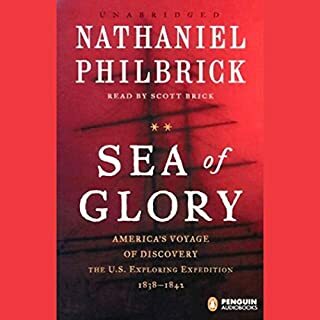 At times, the story gets bogged down in details (I've learned more about old wooden sailing ships than I really ever wanted to know), but overall, it's a fascinating look at this voyage and its leader. In my group discussing the book, we all agreed that Wilkes was a pretty terrible leader. But did that matter? He got the job done--they discovered Antarctica, they went to new lands, they mapped new lands, they brought home knowledge. The expedition was a success. On the other hand, hardly anyone knows about it today. So was it really a success? I would recommend looking up the 2 videos on this expedition that are on C-Span if you want to know more about the expedition and see some of the artifacts and objects associated with it. If you like history, anthropology, or learning about the way Americans viewed past cultures, you'll like this. It's detailed, but Philbrick writes in an interesting style. The narrator is excellent. I'm glad I "had" to read this one. These stories definitely fall into the "cozy" category. They are not anything super thought provoking, but are a nice diversion when commuting or doing other tasks. They're good for what they are--cozy stories. With pets. Cute pets. What about Jennifer Fournier’s performance did you like? I thought the narrator did a terrific job. She has a pleasant voice--soothing, but not monotonous. 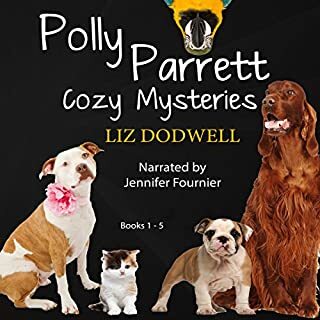 Was Polly Parrett Pet-Sitter Cozy Mysteries Collection (5-Books-in-1): Doggone Christmas, The Christmas Kitten, Bird Brain, Seeing Red, The Christmas Puppy worth the listening time? A nice value for your credit if you're looking for a pleasant read (with pets). 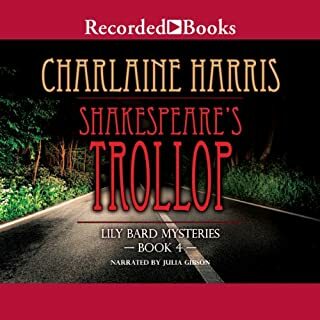 Lily discovers lifelong Shakespeare resident Deedra Dean murdered inside a car parked in a woodsy area out town. Determined not to get involved, Lily wants to leave the police work to Sheriff Marta Schuster and her team of deputies, and concentrate on cleaning, high kicks, and her boyfriend Jack's impending visit. But when Deedra's notoriously promiscuous lifestyle provides an extensive list of suspects but very few clues, Lily has no choice but to resume the role of amateur detective and join the investigation. What made the experience of listening to Shakespeare's Trollop the most enjoyable? The narrator does a good job and "fits" how I see the voice of Lily. Lily...although I felt bad for poor Deedra in this one. No. It was a good read to listen to while commuting. 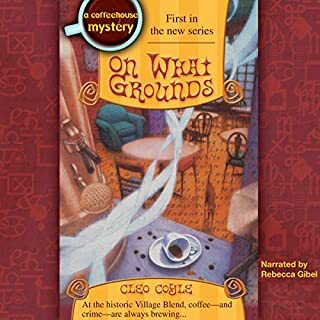 I thought Harris might have taken the "Deedra was a sl**" theme a little far, but overall the book was OK.
Would you try another book from Cleo Coyle and/or Rebecca Gibel? Yes, I'd buy another book by this author. I didn't find the coffee info over the top or anything. The points where the narrator did different "dialects" and cat noises drove me nuts, however. I did like the chemistry between the heroine and the cop. If you’ve listened to books by Cleo Coyle before, how does this one compare? Did On What Grounds inspire you to do anything?